Brother Casimir Brezinski died on March 16, 2015 at Mission St. Teresa’s, Maryknoll, New York. He was 95 years old and a Maryknoll Brothers for 63 years. 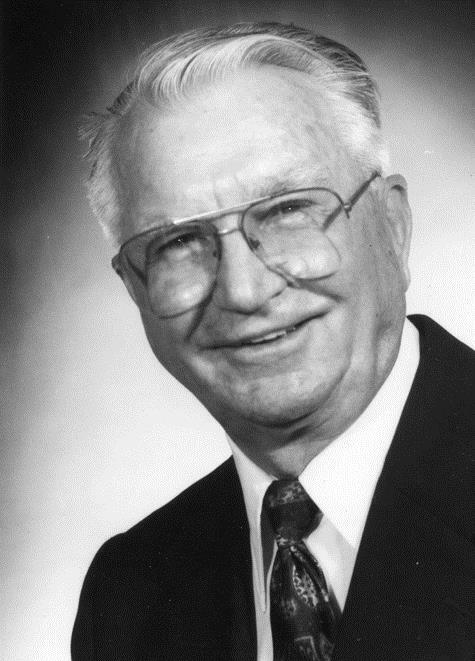 Walter Brezinski was born in Sioux Lookout, Ontario, Canada on July 26, 1919, son of John and Frances Hudy Brezinski; both were born in Poland and settled in Canada. He had three sisters and one brother, all of whom are deceased. Walter finished eight years of grade school at Sacred Heart Parochial School, and attended Queen Elizabeth High School in Sioux Lookout. He then completed an eighteen-month training course at the Ontario Radio Institute. During World War II he served for four years in the Canadian Merchant Marine as a ship’s radio operator in the treacherous North Atlantic. Walter entered Maryknoll on October 8, 1949 at the age of 30. He attended The Maryknoll Brothers Novitiate in Akron, Ohio. He pronounced his First Oath of Obedience on June 29, 1951 taking the religious name of Brother Casimir. Brother took his Perpetual Oath January 1, 1954. He served in the Center Procurator’s office for five years doing clerical and bookkeeping work, as well as serving as chauffeur for Superior General Bishop Raymond Lane, M.M. and other General Council members. On April 27, 1956, Brother Casimir was assigned to the Maryknoll Mission Region in Bolivia and served his entire 47 years of mission ministry in the Pando Vicariate. He served as the Vicariate Procurator in Riberalta, and since he was a ham radio operator, he maintained the radio communication system for Maryknollers in the Vicariate. He also installed and maintained Radio San Miguel, a short wave broadcast station for Pando mission work to the people. In February 2001, Brother Casimir retired, but at his request, continued to live in Bolivia. In February 2004, he was assigned to the Senior Missioner Community and moved to the Maryknoll Residence in Los Altos, California. He moved to Mission St. Teresa’s in July 2014. A Rosary and wake service was held at 4:00 p.m. on March 25, 2015 at St. Teresa’s. Brother Casimir’s family received condolences and prayers at 9:30 a.m. on March 26, 2015 in the Lady Chapel. The biography was read by Rev. Joseph Kowalczyk. Mass of Christian Burial was concelebrated in Queen of Apostles Chapel on March 26, 2015 at 11:00 a.m. Father John Gorski was Principal Celebrant and homilist. Burial followed in Maryknoll Society Cemetery with Father Michael A. Duggan conducting the graveside service.